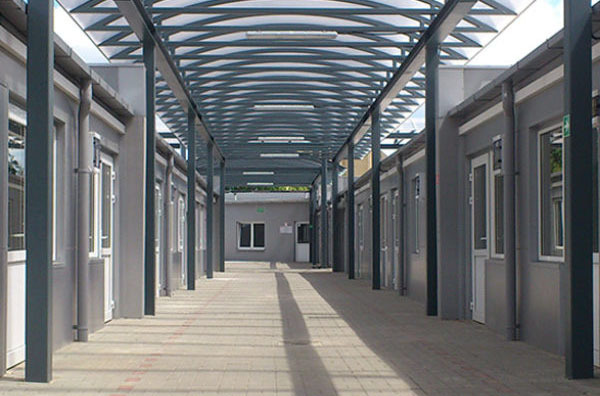 Container Systems is a fast and cheap way to increase office, sanitary or warehouse space. In our rich offer you can find containers for a wide range of applications. 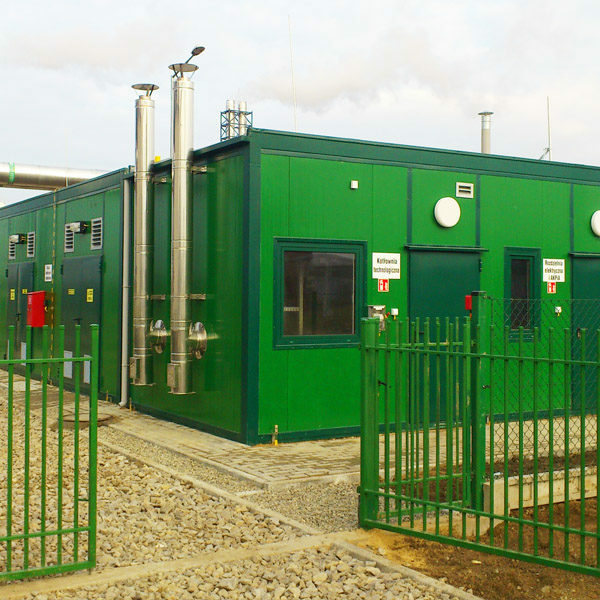 Container system used by us is based on modular technology which consists of shaping the size and functions of offered objects by joining the single units (modules)with a shorter on longer side and on stacking. 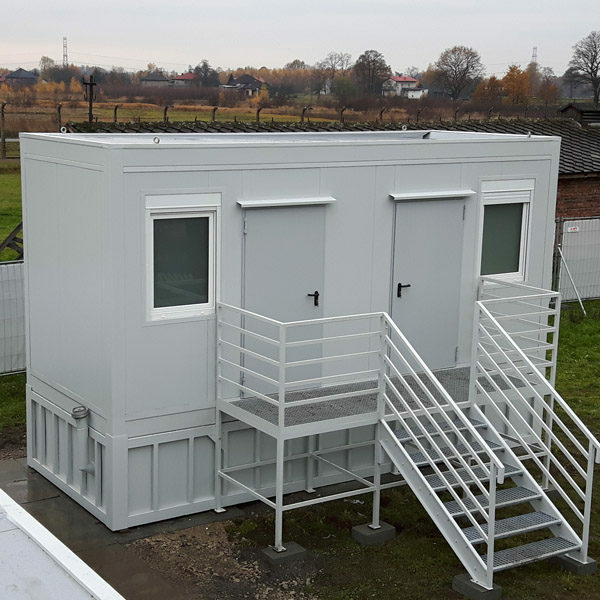 Containers that are delivered straight from the manufacturing plant are equipped completely with all of the installations, furniture, etc. with our own self-unloading trucks. 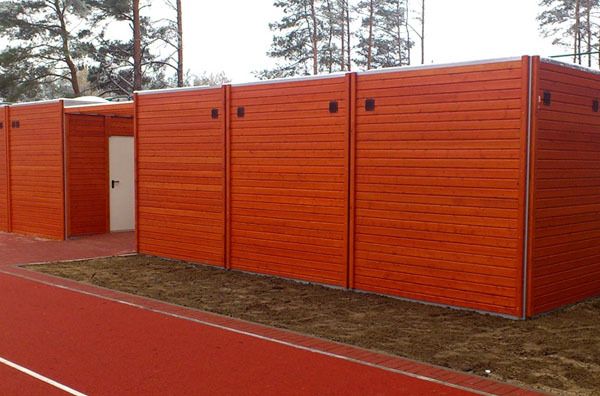 Containers of the type "KAJA" thanks to their thermoinsulating power, soundproofing, esthetics of finish, durability and possibility of shaping the interiors. 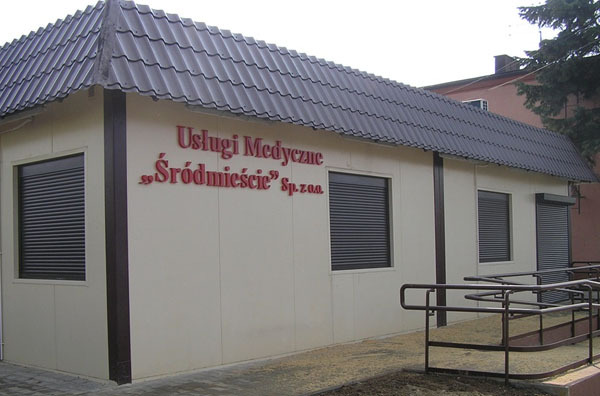 Office buildings, Soundproof cabins, Gas stations, Pharmacies, Schools, Gastronomical objects, Construction site backrooms, Sanitariats, Shops, Health care centers, Warehouses, Hotels, Kiosks, Base Transceiver Stations, Boiler houses, Guard-rooms, Houses, Traveler's Information Centres, Field backrooms etc. 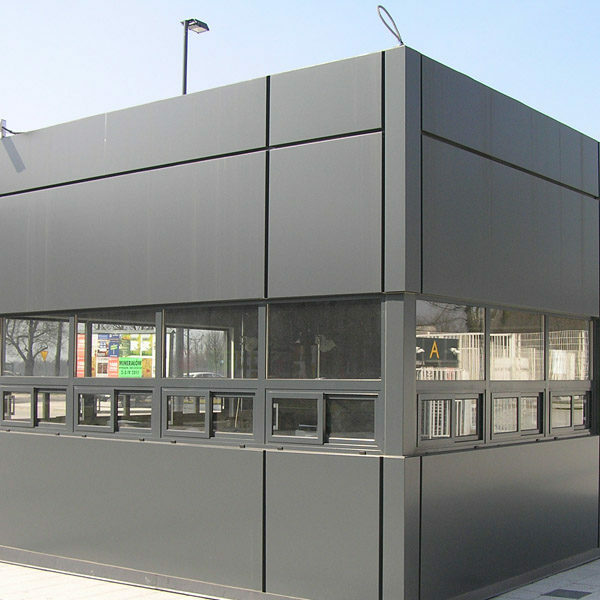 They can be used as single, independent objects, or create buildings with high space diversity where a single container is used only as a module unit. 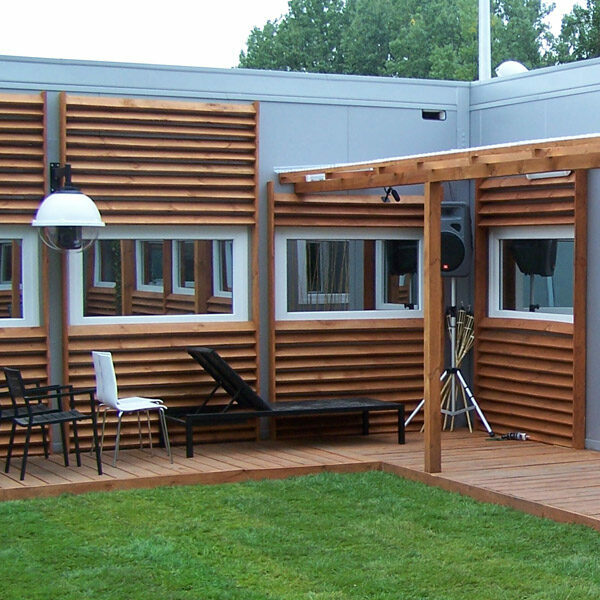 By joining the containers with each other you can have basicaly unlimited space which can be divided by dry-walls while keeping in mind the end use purpose of the building. In offer we also have the possibility of stacking the containers as well as adding the modules to buildings that already exist. 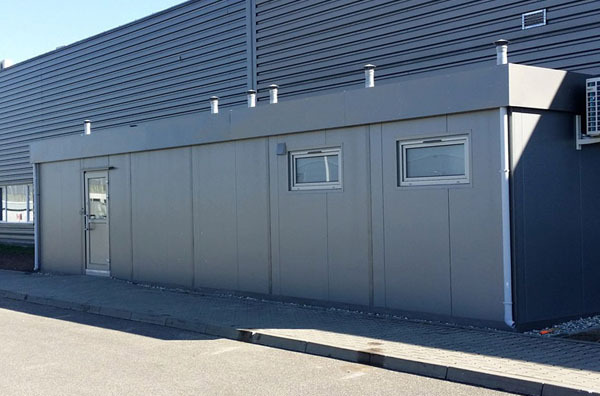 We have prepared a catalog of standard solutions which includes all of the types of walls that are used in designing new buildings. The simplicity of assembly and dismantling, lightness of construction, lack of nessesity to create permanent foundations creates a possibility of placing the modules in any given place, in a very short time as well as the possibility of moving the object to anothers site and a fast reclamation of the terrain. 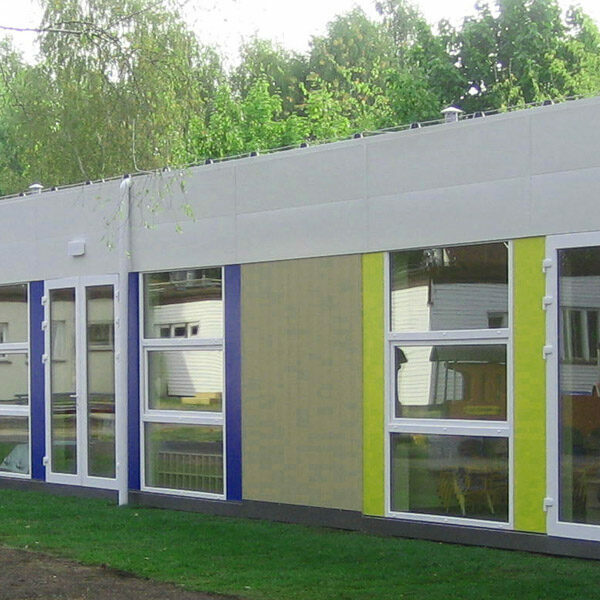 In comparison to traditional construction technologies, using the systems of modular construction has many different advantages.